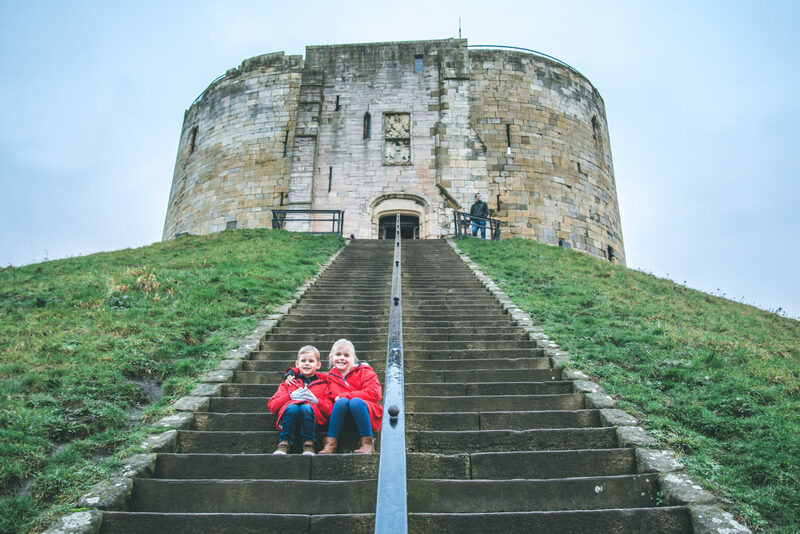 During our recent break with Wigwam® Holidays, staying at Ball Hall Farm just 10 miles from York (you can read our review here), we couldn’t wait to take the children to one of our favourite cities and see it through their eyes. 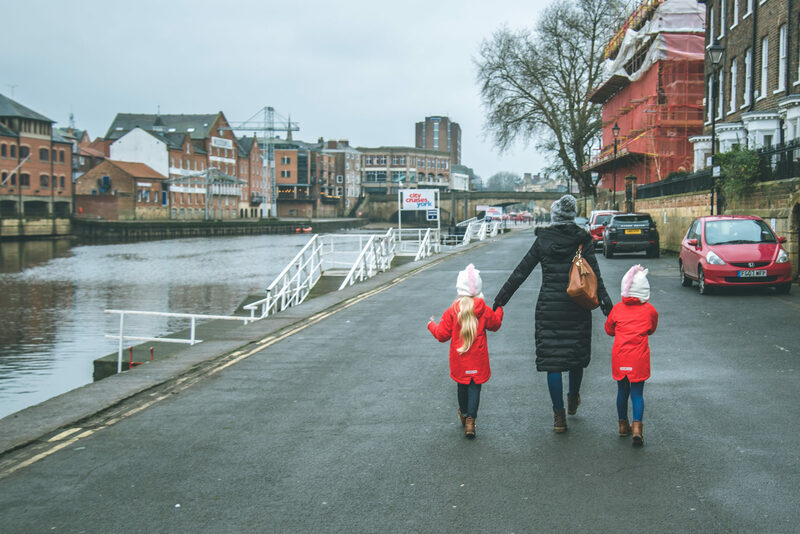 Gaz and I have enjoyed many days out in York over the years just walking along the river, enjoying a meal and drinks, and seeing the sights, and so I was keen to see what it could offer to us as a family with young children and it’s safe to say it didn’t disappoint! 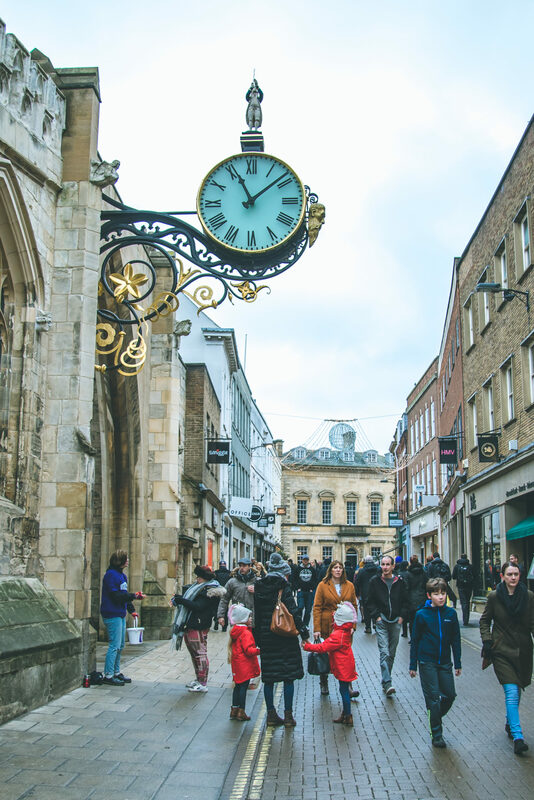 The main city centre of York has lots to offer and, for those who love to shop, an amazing shopping area. Although with three small children it’s not the best time to some shopping (although we did manage a little! ), scattered around the main shops are lots of restaurants, cafes, and coffee shops. 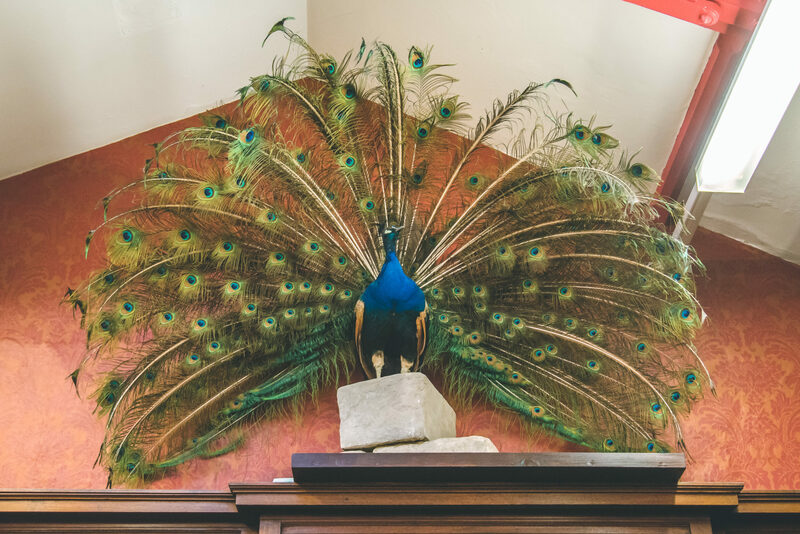 For anyone visiting York I definitely recommend popping into the Starbucks in the centre, listed as one of the 50 most beautiful coffee shops around the world, as with tall ceilings and stunning architecture, it really is a sight worth seeing. 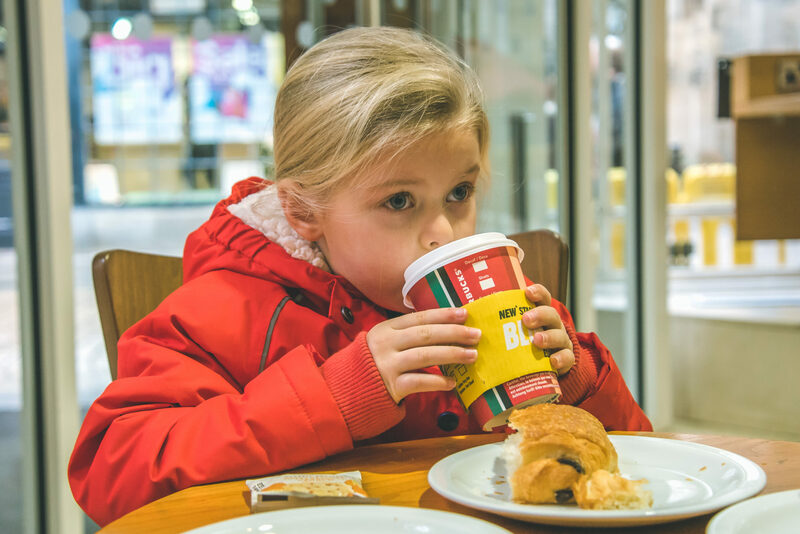 It’s also a great family friendly place to refuel on a croissant, warm up with a hot chocolate, and prepare for a full day of exploring! 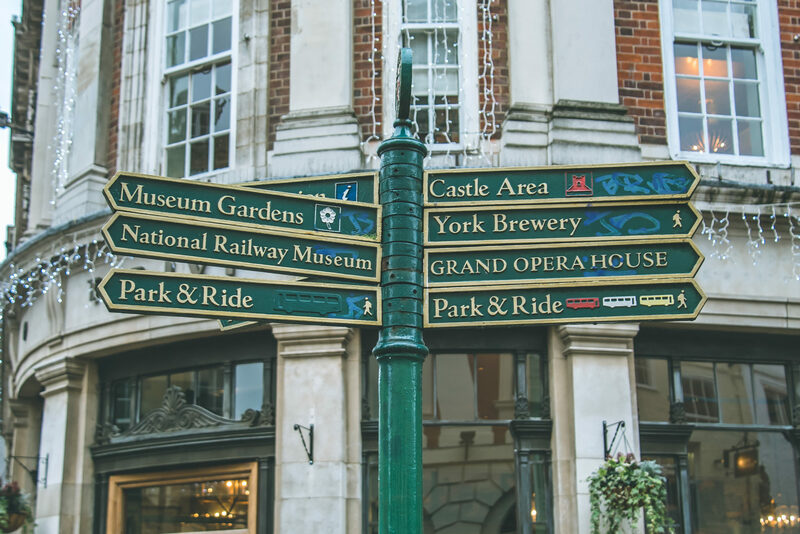 The great thing about York is that no two streets are ever the same, with so much to see and do on every corner. 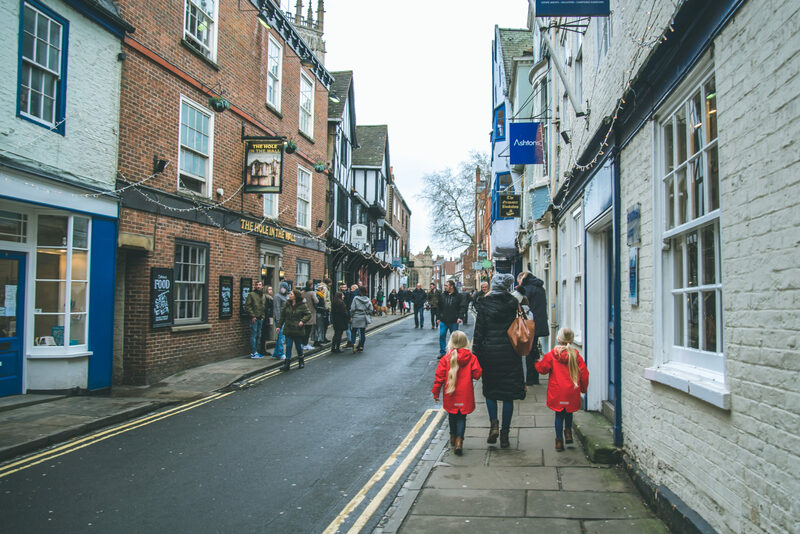 We love to visit The Shambles, a series of little lanes with unusual shops and bars, buskers and street artists, and in the warmer weather you could spend a whole day just wandering around taking it all in. 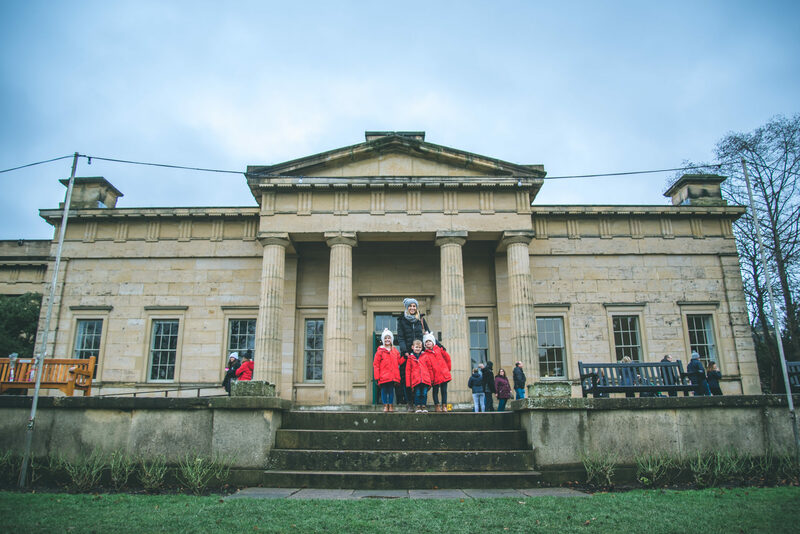 Obviously in January with children there comes a point where they start to get cold so to warm up we decided to visit one of the museums we had heard so many rave reviews about. 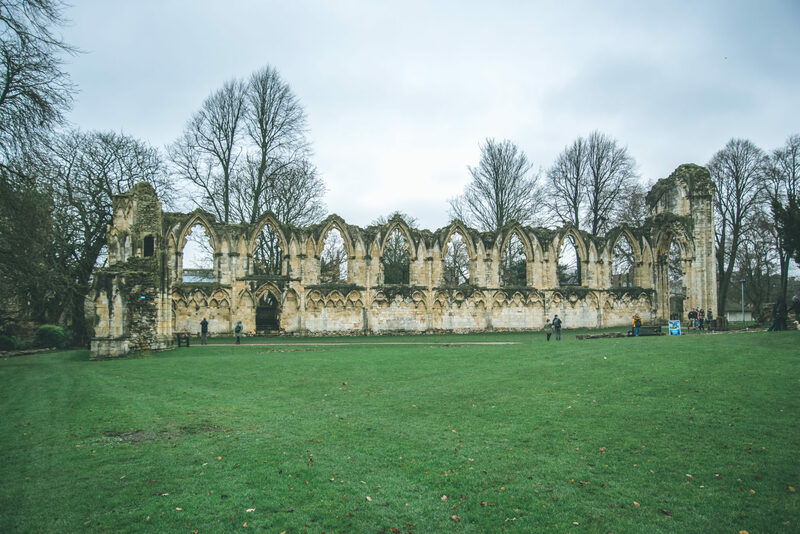 The York Museum gardens are located in the centre of York, set in the stunning surrounding of the Medieval ruins of St.Mary’s Abbey, and are free to visit to the public. 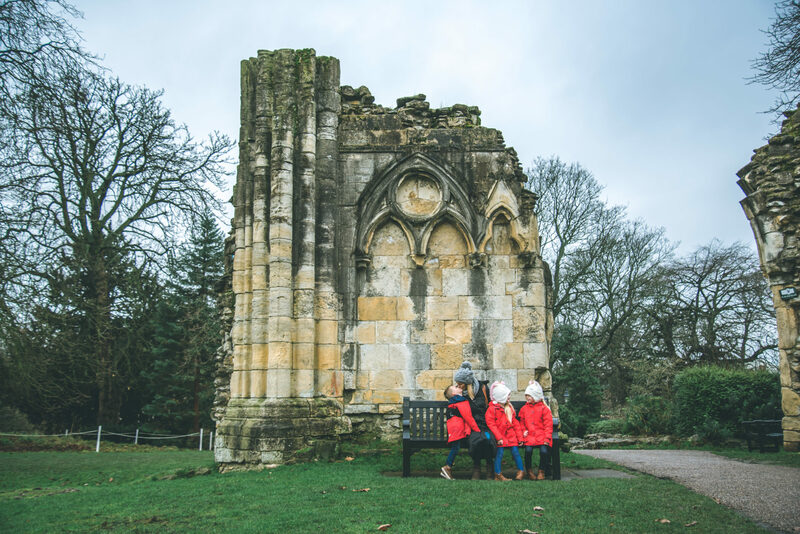 During the warmer months they are lovely to wander around enjoying the botanical collections, the abbey ruins, and enjoy the sunshine on the vast lawned area. 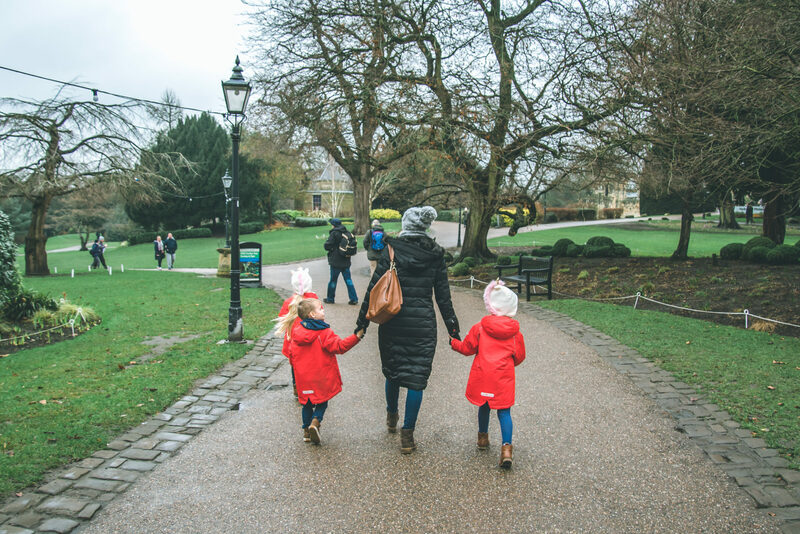 Last Christmas we visited the gardens for a ticketed event where the whole of the gardens and abbey were lit up with festive lights as well as a fairground, wooden chalets selling all kinds of food and drinks, and live music playing. It’s definitely worth checking out the website for upcoming events. 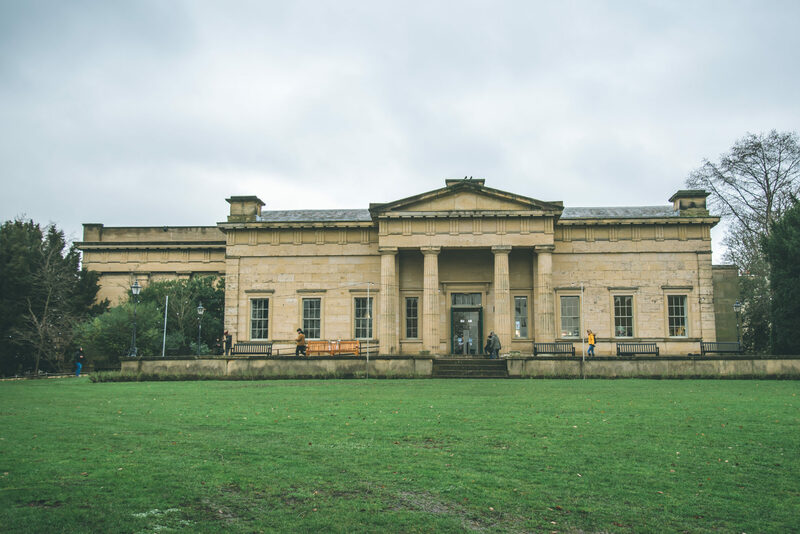 The Yorkshire Museum is located within the Museum Gardens and is a hugely impressive building home to five permanent collections – biology, geology, archaeology, numismatics and astronomy, as well as many new and exciting exhibits. 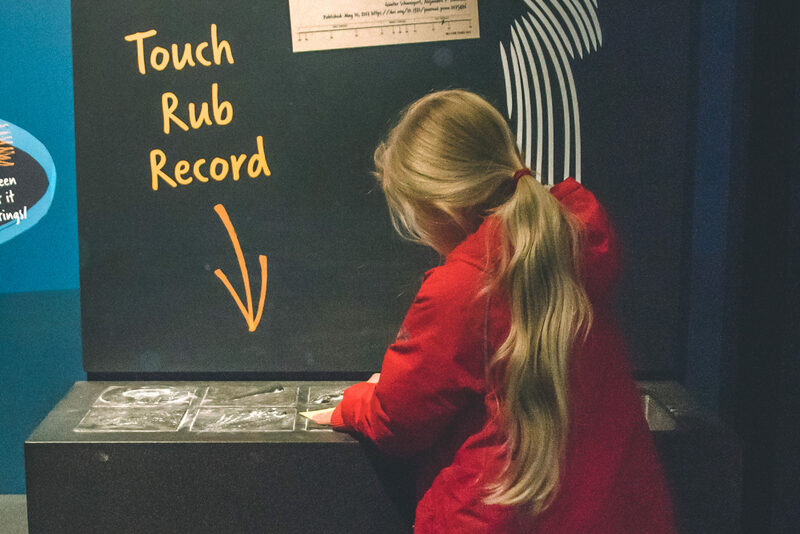 Entry to the museum is free for those who hold a YMT card and £7.50 for adults for those without. Children under 16 are free with a paying adult making it a very affordable day out even for larger families. 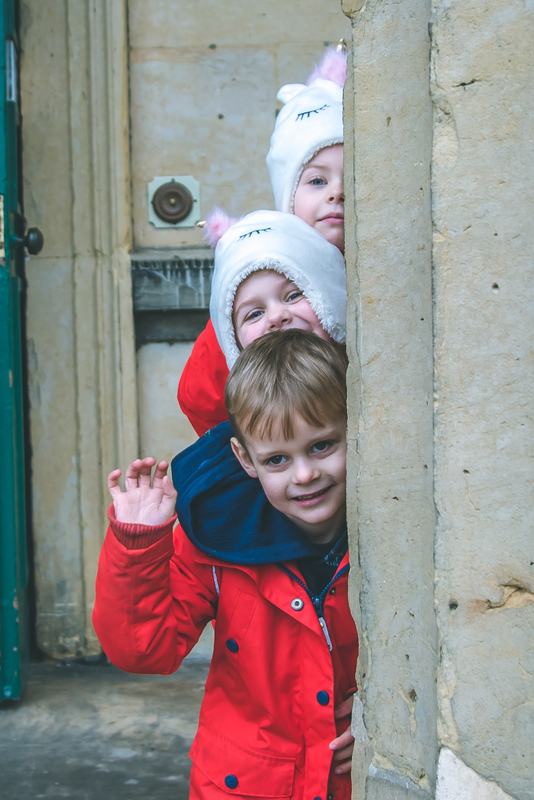 I’ll be honest, I worry a lot about taking our youngest three to a museum given their inability to be quiet and their incessant need to touch everything in sight, and yet the Yorkshire Museum is very much geared around children too. 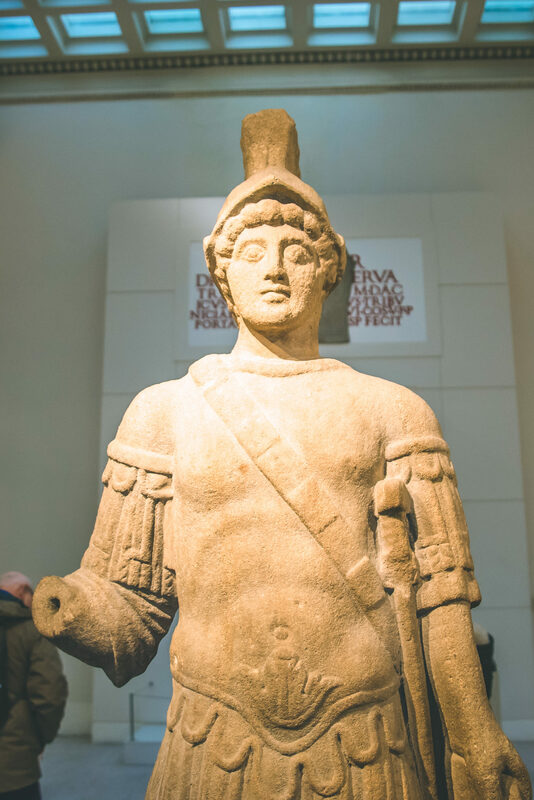 As you enter the museum and into Roman York, a huge floor map shows the extent of the Empire, images of mosaics and frescoes decorate the walls and a mighty statue of Mars, the God of War, dominates the space. 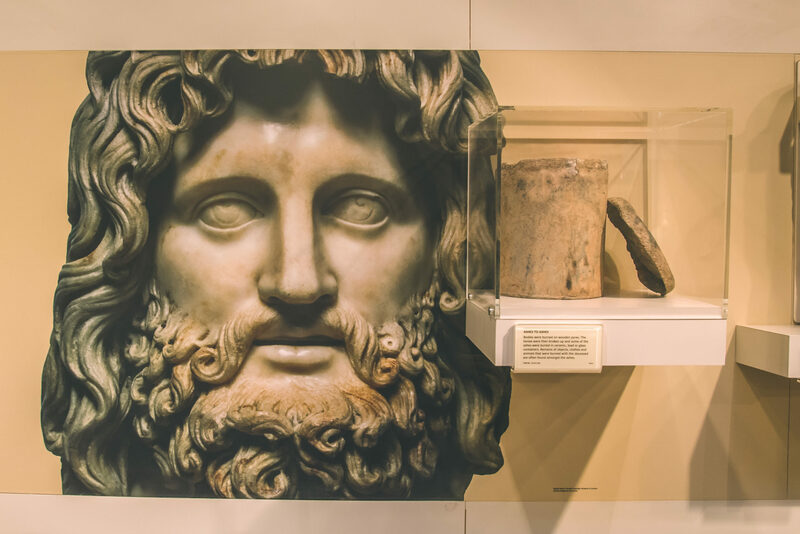 Many of the treasures in this gallery were collected by historians in the 1800s, fascinated by the Classical Roman and Greek worlds, and the classical-style columns of the museum’s Central Hall provide the perfect backdrop. 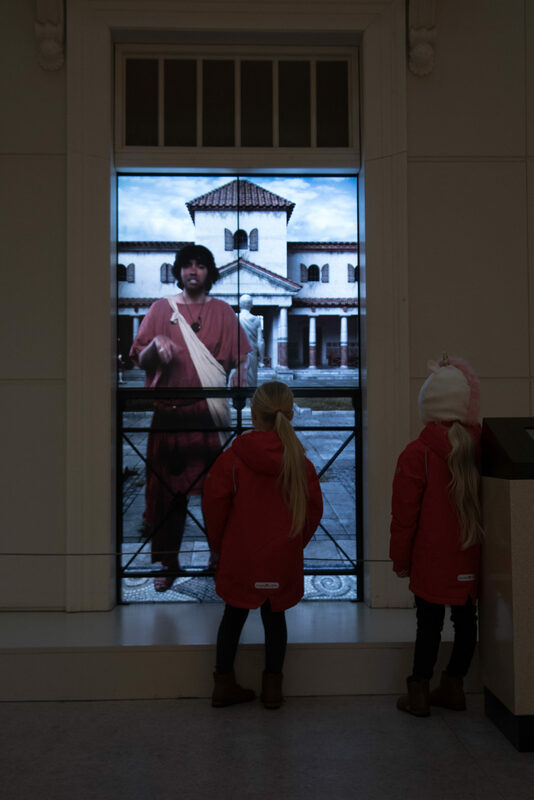 The children were amazed by a huge interactive screen where a “real life Roman” spoke to the children about life in the Empire. 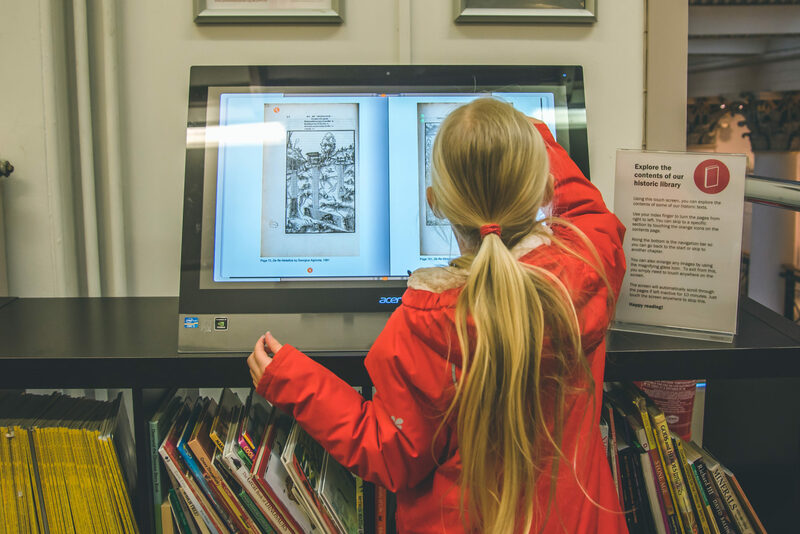 I love how the children took in all of that information, far better than they ever have done from the classroom alone. 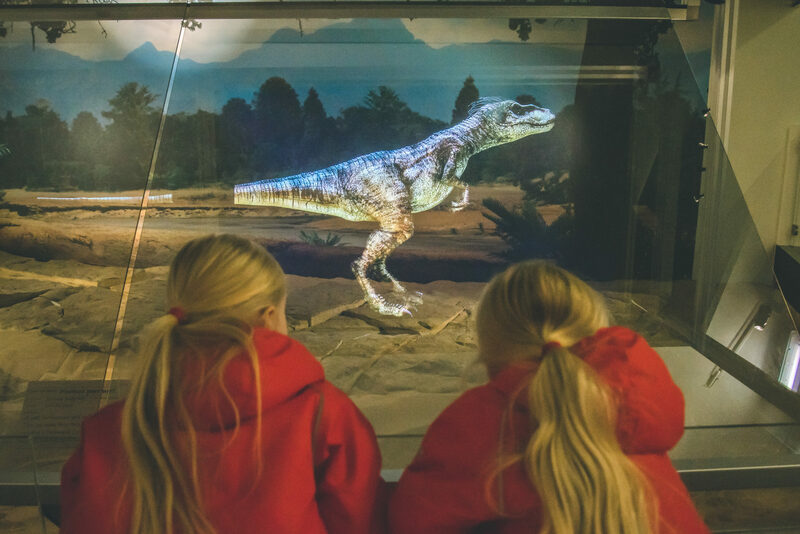 New to the Yorkshire Museum, and officially opened by Sir David Attenborough back in March 2018, the Jurassic World exhibition is worth a visit for this alone. Like all children, Eva, Megan and Harry are dinosaur-mad, and so the moment we stepped inside their little faces were priceless. 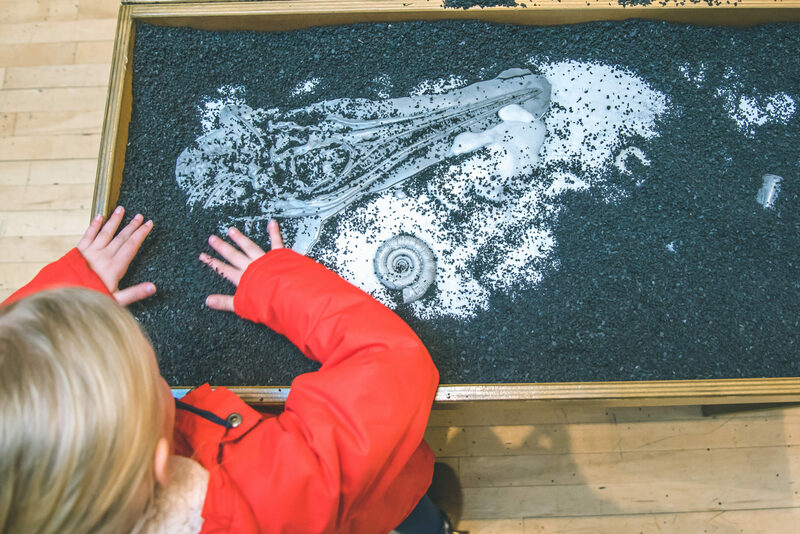 At the start of the exhibition is an amazing interactive area where children can uncover dinosaur fossils and bones, something which is pretty exciting when you’re four, five and six! 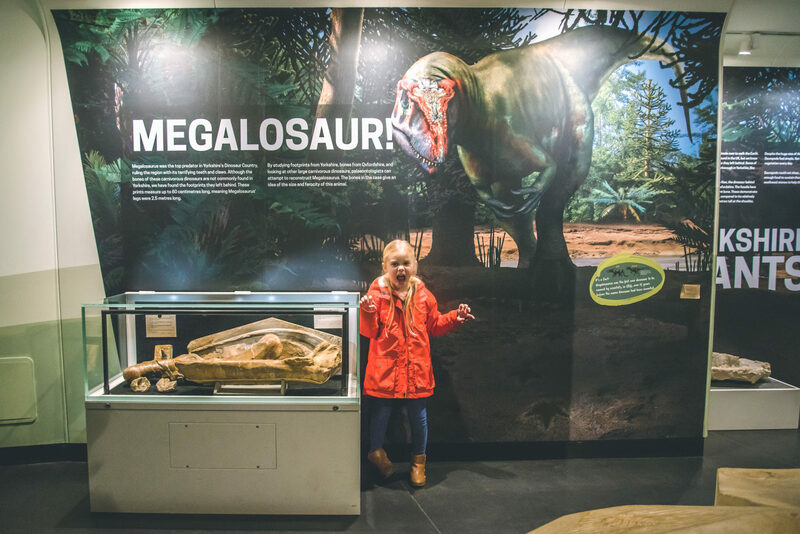 From the depths of the deepest seas to the ancient coasts and tropical shallows, you can meet the dinosaurs and sea monsters that once roamed our vast and ever-changing landscapes. 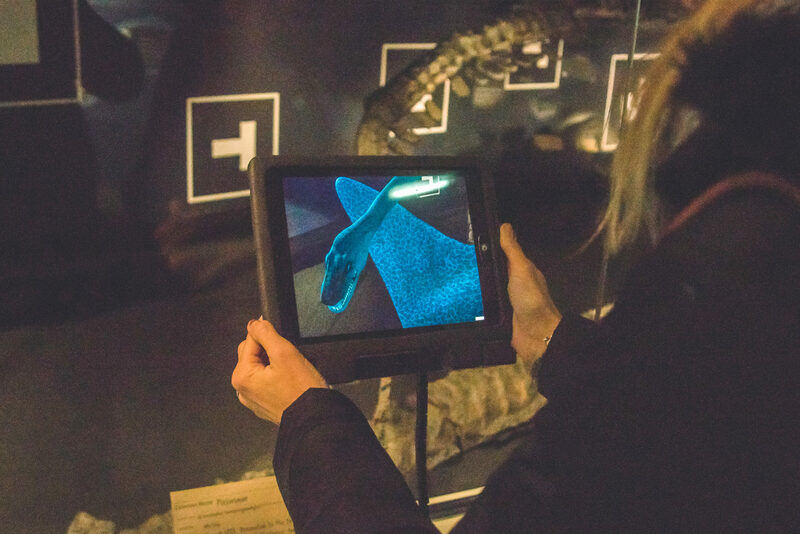 Experience each Jurassic world as the colossal creatures and their surroundings are brought to life using the latest research and ground-breaking technology. The holographic dinosaur was honestly one of the most impressive things I have ever seen in a museum! It’s safe so say that Megan was over the moon to discover the Megalosaur! 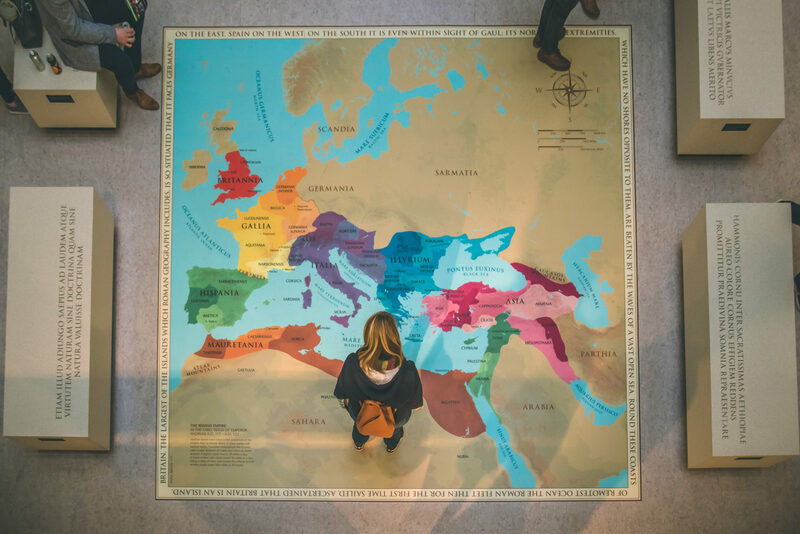 Although there is a lot of written information in the exhibition there are also lots of big bright pictures to capture children’s attention and of course, pose for a quick photo opportunity! 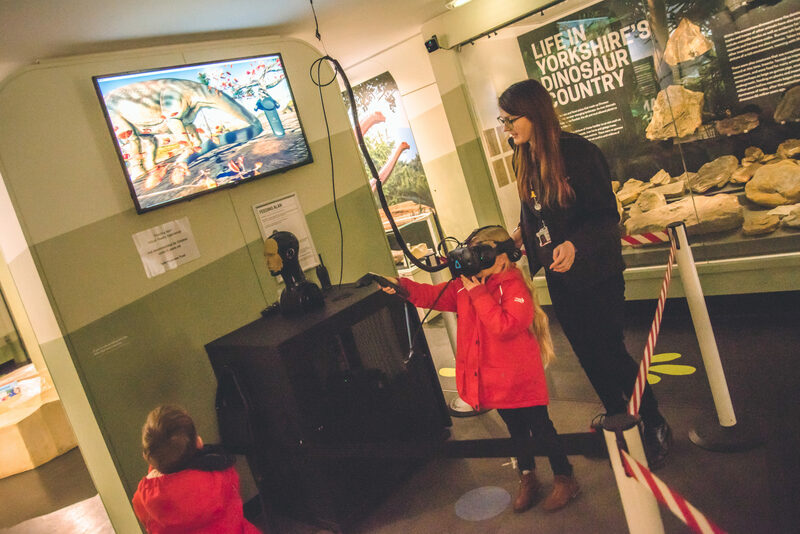 The children’s favourite thing about the Museum was the Virtual Reality station where you could actually feed a dinosaur – amazing! 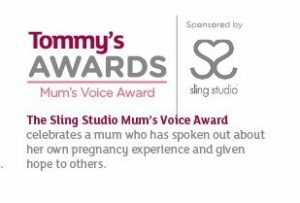 The only downside to this is that there is a height limit and, having realised he was just a centimetre too small, we had lots of tears from a heartbroken Harry who would have given anything to have a turn. For those whose children aren’t quite tall enough it might be worth hurrying through that section to avoid the same happening. 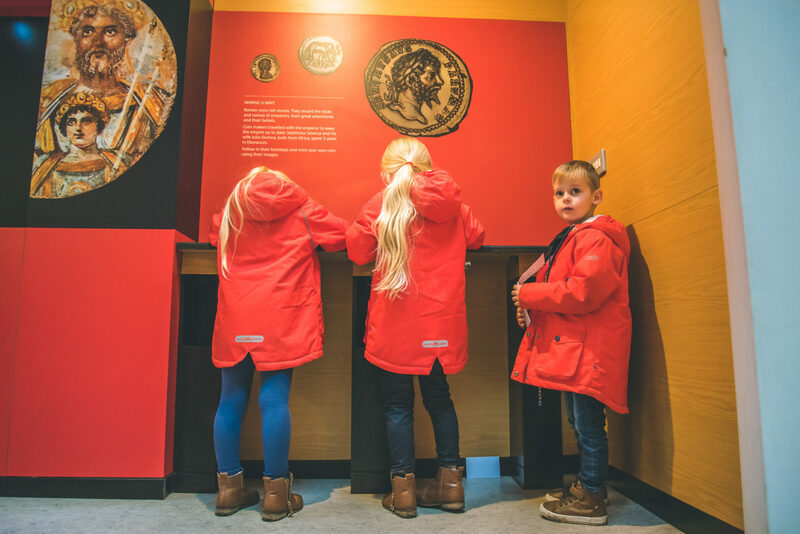 At various stations throughout the other exhibitions you can find lots of interactive activities such as coin rubbing, dress up, and Museum workers with a variety of historical artefacts which the children can actually hold and examine themselves. 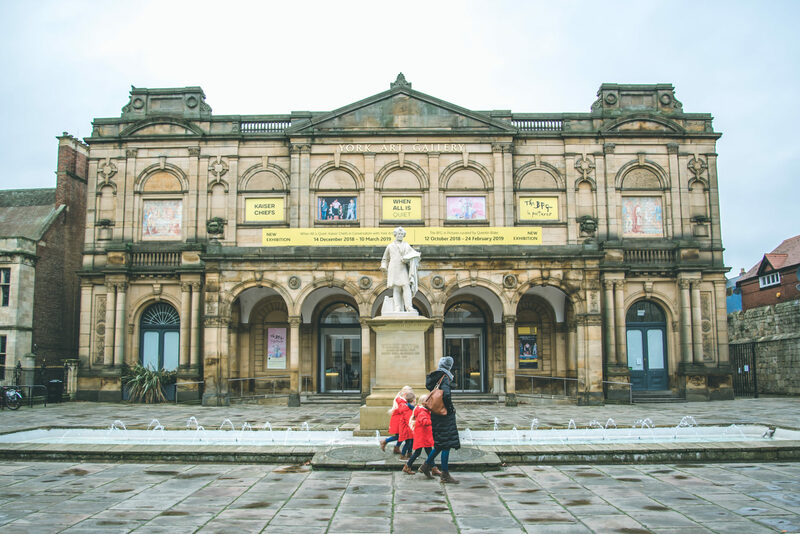 We spent a couple of hours at the Yorkshire Museum making it a really fun way to pass a morning or afternoon, especially on a rainy day. We would definitely recommend a visit to families visiting the area. You can’t visit York for the first time without visiting the Cathedral. York Minster is one of the worlds most magnificent cathedrals and has attracted people from across the globe for more than 1000 years. 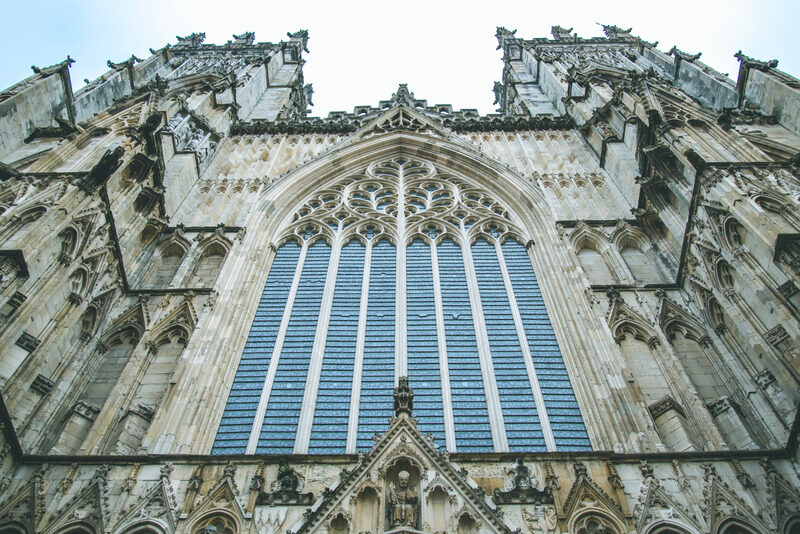 Since the 7th century, the Minster has been at the centre of Christianity in the north of England and still remains a thriving church rooted in the daily offering of worship and prayer. Every aspect of this ancient building – from the exquisite, handcrafted stone through to the unrivalled collection of medieval stained glass – tells the story of Christianity and honestly, it is absolutely worth a visit if for nothing more than to admire the craftsmanship that has gone into such a stunning building. 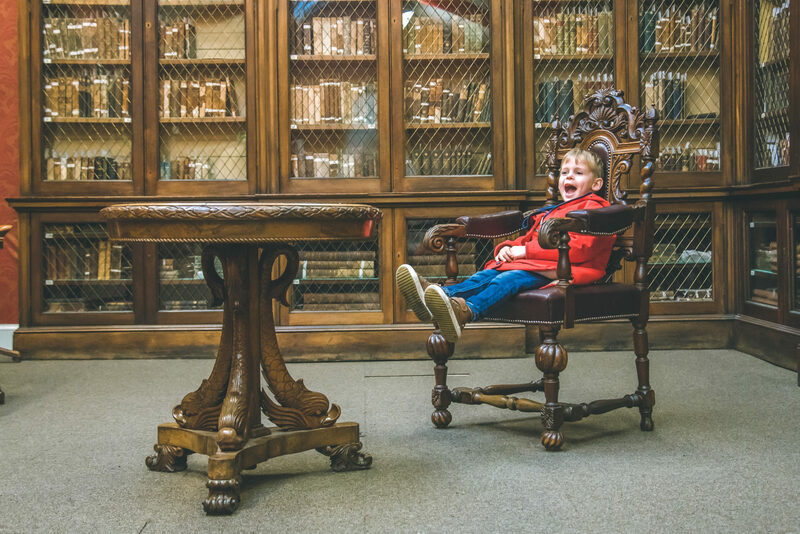 The award winning York Castle Museum is the perfect chance to see hundreds of years of York’s history in one place – from recreated Jacobean dining rooms to infamous Victorian criminals and all the way to the Space Age and the swinging Sixties. 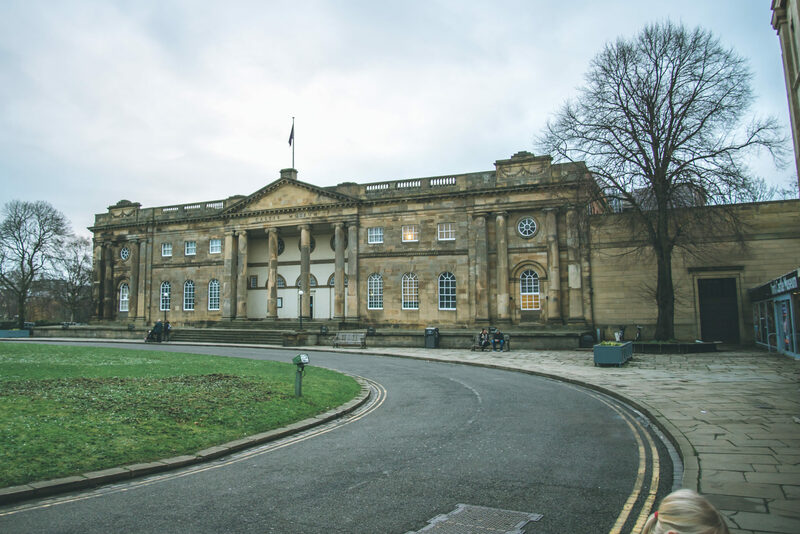 As well as the exhibitions you can go up to York Castle and learn more about the history of the city. 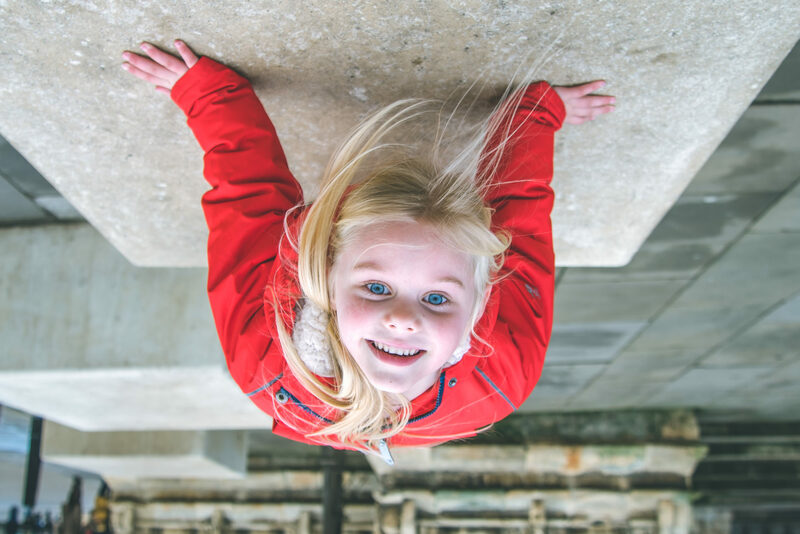 Free to all YMT holders, and £10 per adult otherwise, children under 16 are free to enter which again makes this a really affordable family day out. 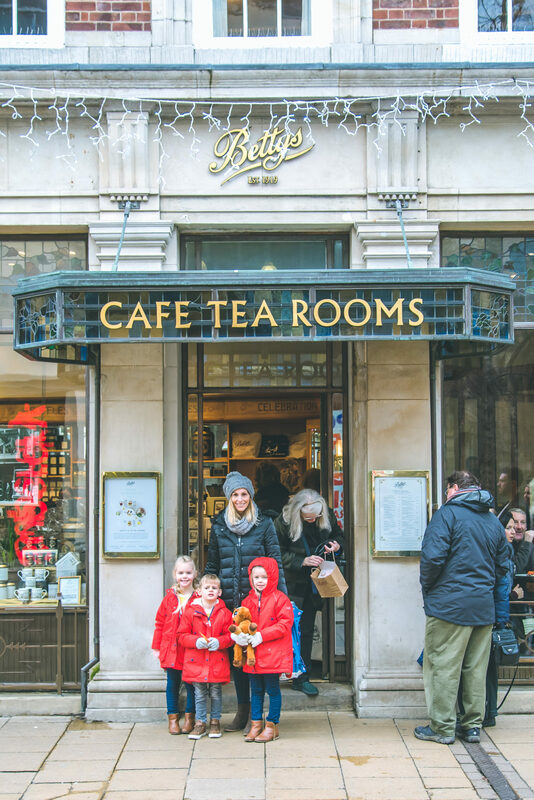 No visit to York is complete without a trip to Bettys famous Café Tea Rooms on St Helen’s Square. Despite salivating at the window every time we’ve passed over the years, we haven’t yet managed to get through the door. 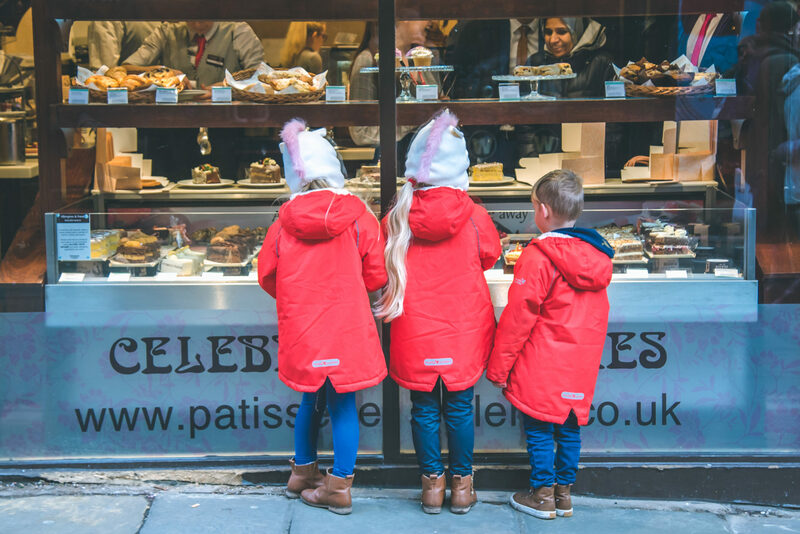 You only need to take a look at the queue, usually going right the way down the street, to see how popular it is, and so when we were invited along for afternoon tea with the children it seemed like the perfect opportunity to finally give it a try! 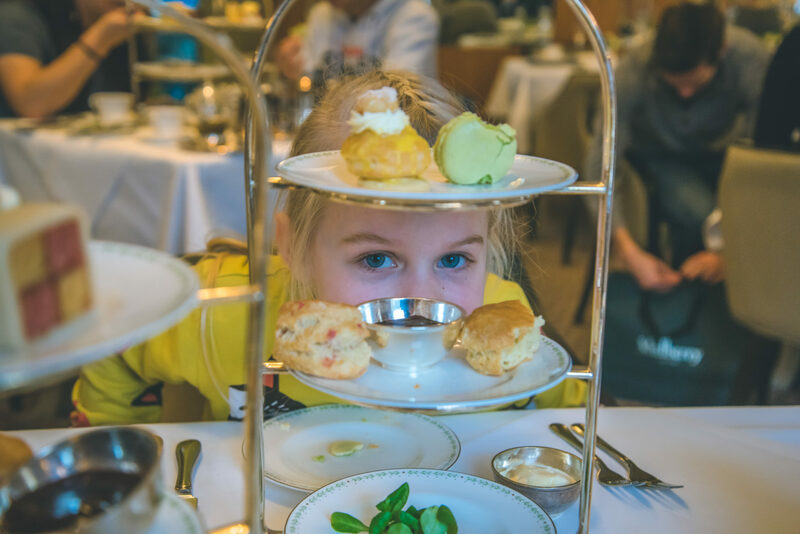 I have shared my review of Bettys afternoon tea on the blog here so I won’t say too much, but what I will say is that this is so much more than “just tea and cake” – it’s a whole experience in itself and I think everyone should go even if just once in their lives. I love that we got to experience it together as a family, I think it will be something they always remember! 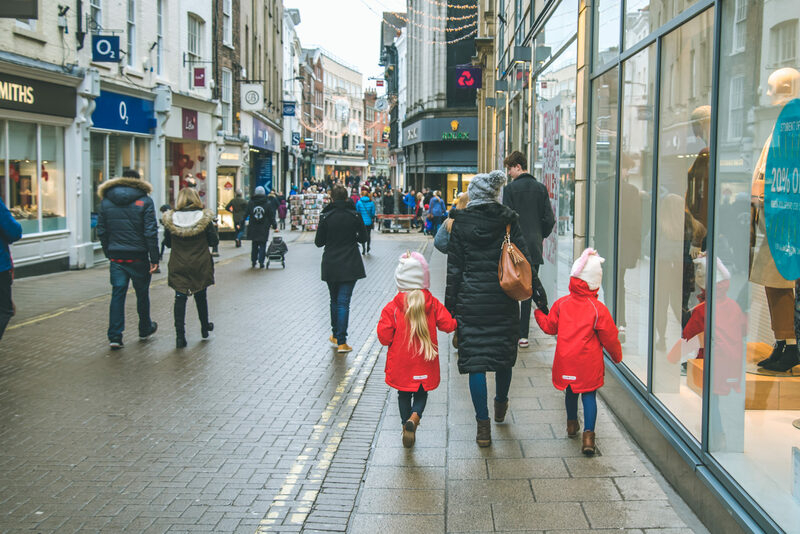 For anyone thinking of visiting York with a young family, for just a day or an extended stay, we can’t recommend it enough. There is so much to see and do and we have merely scratched the surface! Looks like a lot of fun was had by all! It is always fun to find things that you can do together as a family. Oh I love the photography in this. There are some really captivating shots. What camera are you shooting with by the way? This is awesome, I’ve never been to these places! When I visited York we went to the Railway Museum (great fun for kids especially the ride on the steam train!) Jorvik museum again awesome for kids! and the York Dungeons. This looks like an amazing experience. The photos are magical. 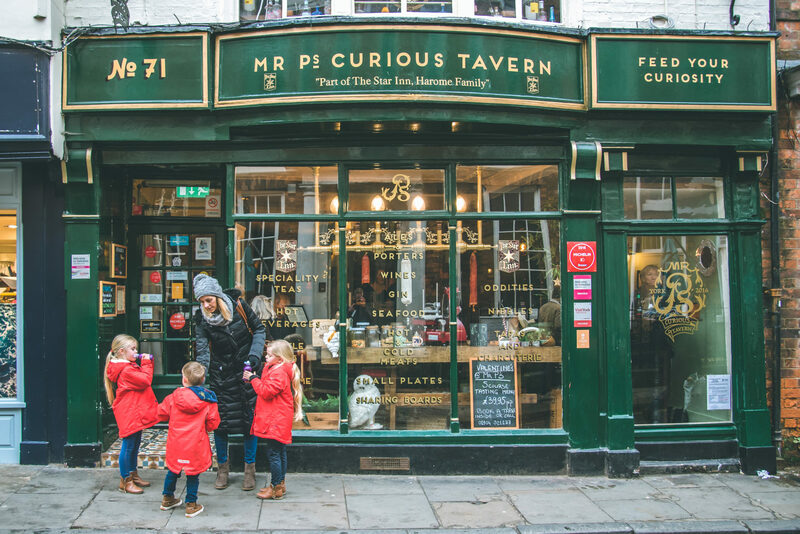 I remember taking my children to the Jorvik museum and the railway museum when they were small so thanks for introducing me to some fresh places to visit. This is so incredibly timely for me right now! 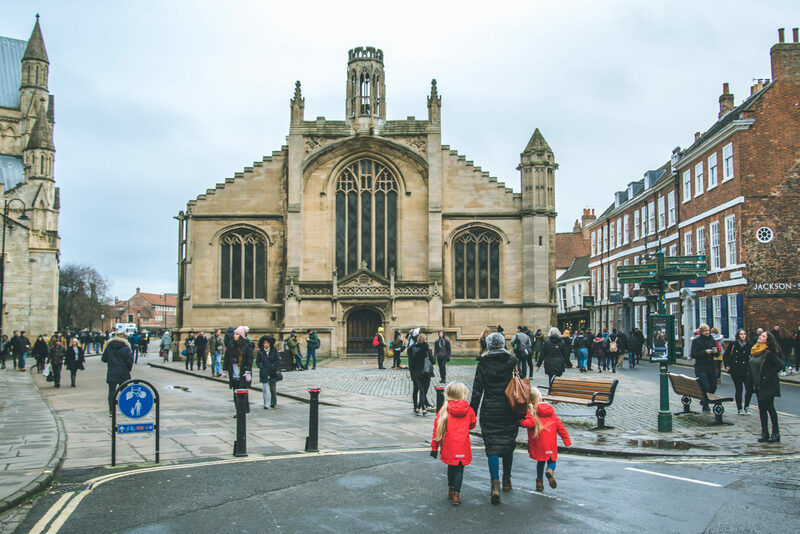 Steve and I have been talking about going away and York is one of the places I suggested – it is good to know that there is plenty of things for children to see and do. So glad to have read this as York has been on my list for ages and was hoping to visit before it got crazy busy in summer. The museum looks like a great place for sensory children. Perfect for my 6 year old. It looks like you had a wonderful time. 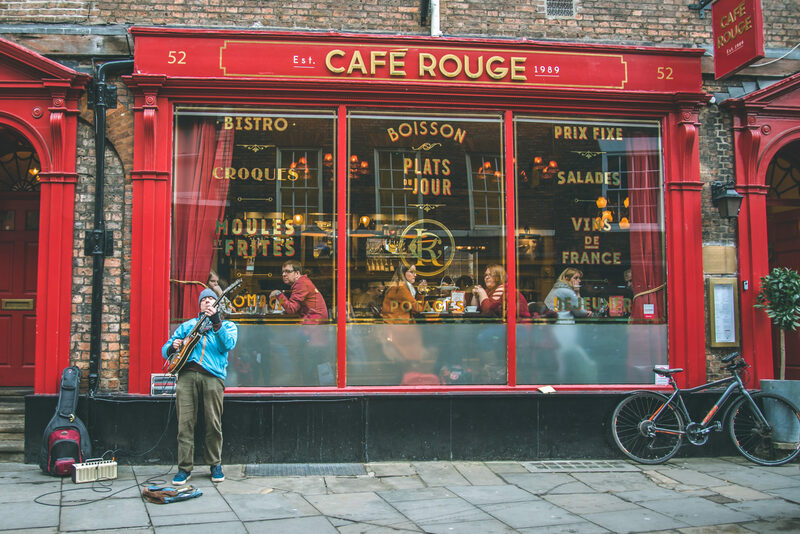 York is a great city and has so much to offer people of all ages. 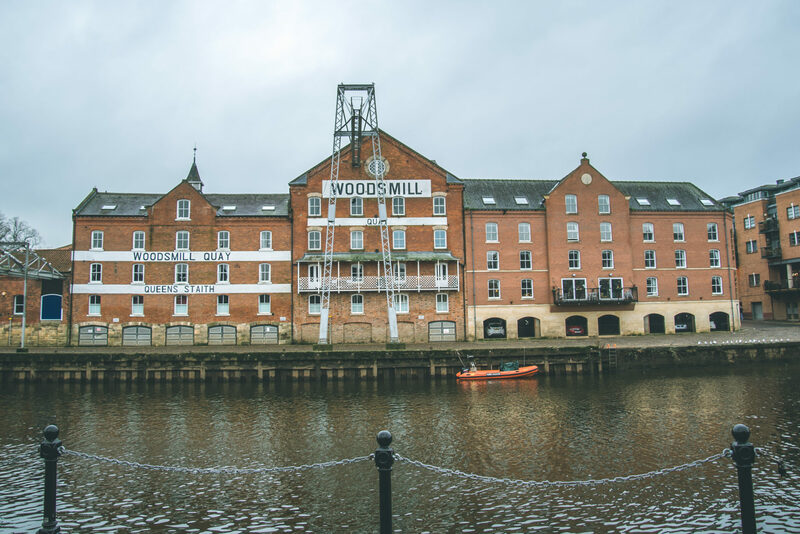 I don’t have kids but these places in York are lovely. I have been there. It is indeed a lovely place to explore so I agree with all your points and places. Aw I love York! I was talking about it just the other day as my sister is moving near there! It’s a really lovely place to visit isn’t it! Aww it looks like you had an amazing time and there is so much to do!! 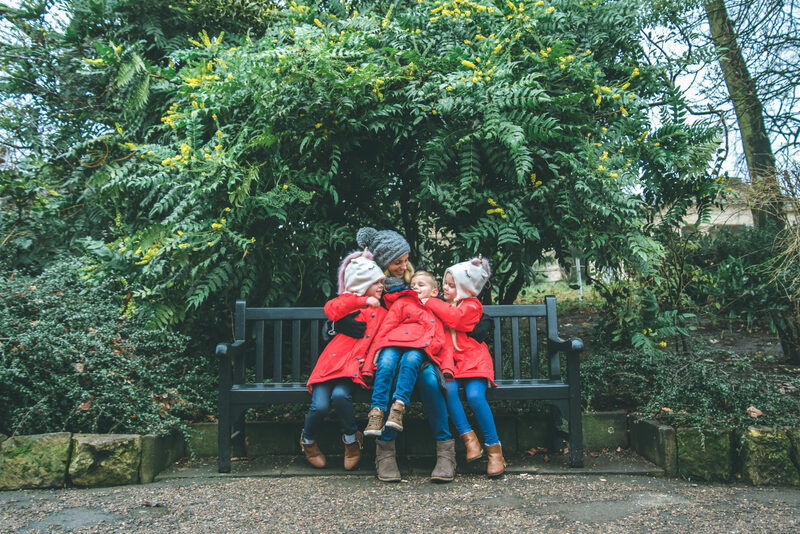 It looks like you and the little ones had a great time exploring. 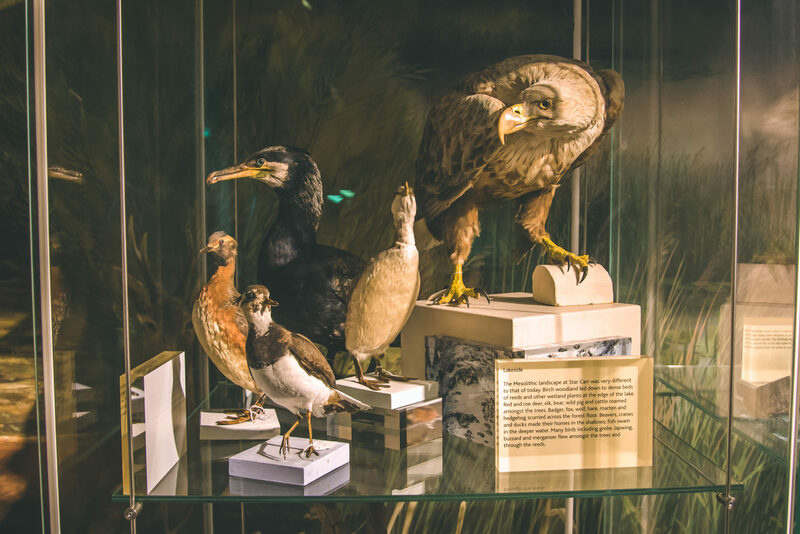 The museum sounds like a great option for a family day out. 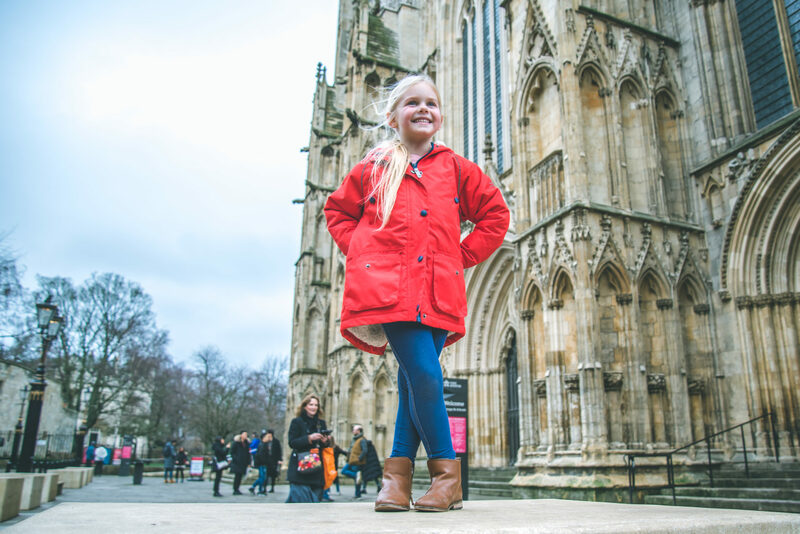 Looks like York is worth visiting with kids. York looks like a fantastic place to visit! My kids would love the museums. It looks like you all had a great time in York, so jealous you all had a Betty’s. Its the most amazing place isn’t it? I live very close to York so do go a lot. I love that there’s so much to do there whatever your age. Me and Ellie go and always have a great time, and I go with friends too for drinks and food and love it. Such a lovely place. 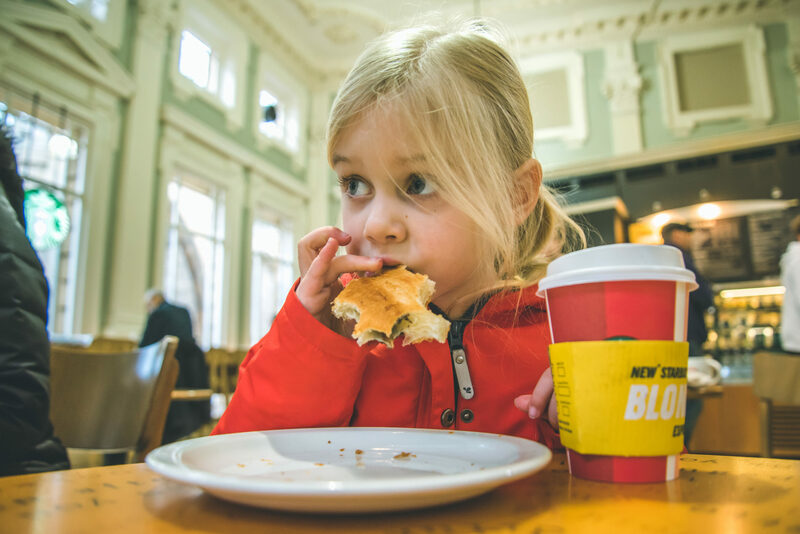 Looks like the kids really enjoyed the museum and of course the pastries! 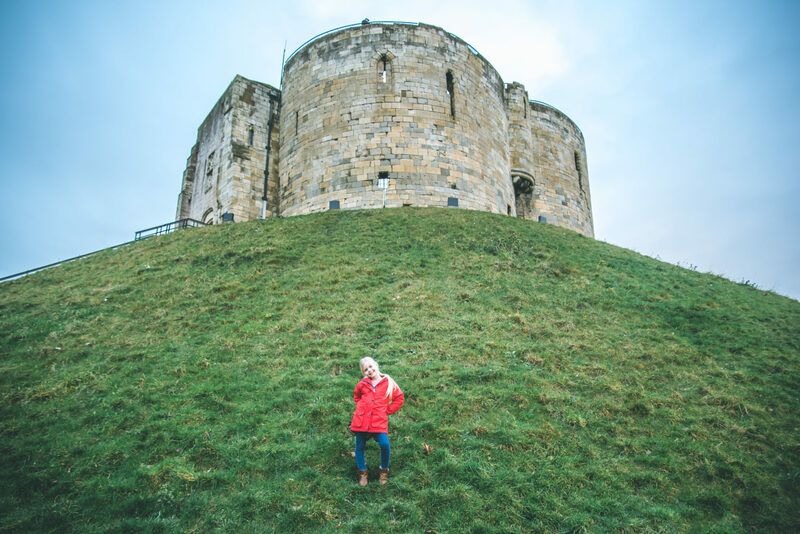 WOW I have never been to York before but it looks like there is so much to see and lots of to explore! 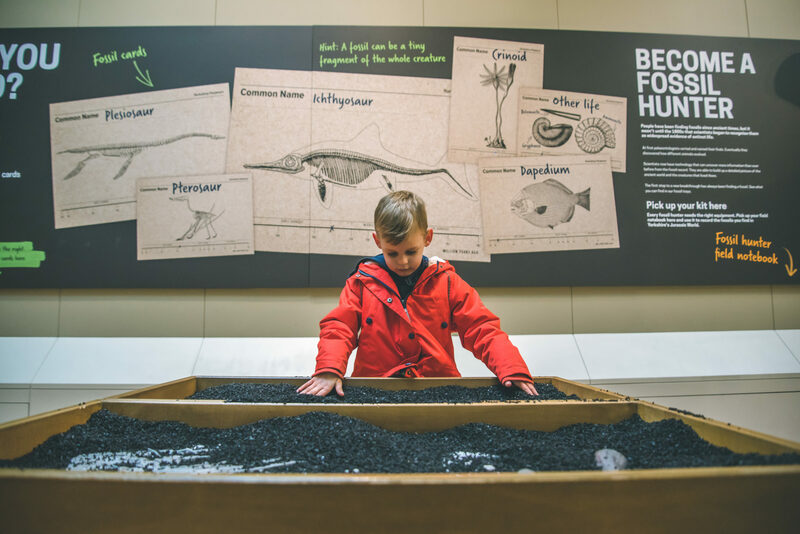 My kids would love the interactive features at the museum, especially finding the fossils! Such amazing photographs! 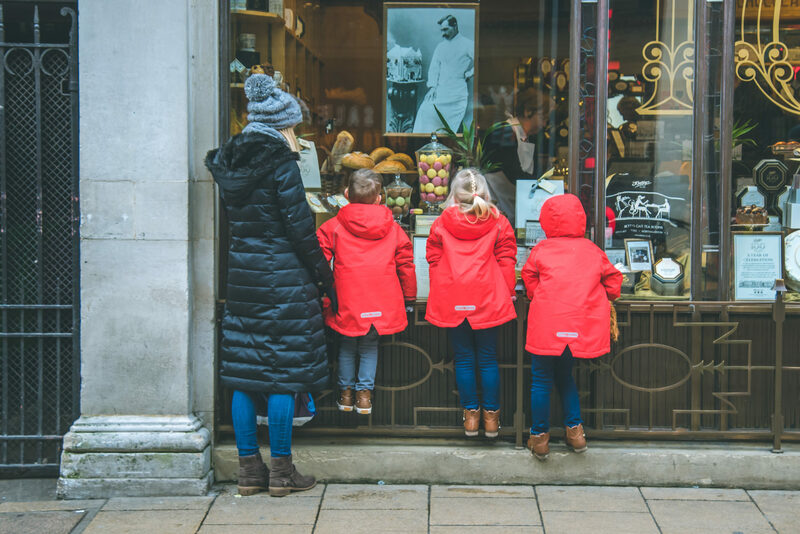 Your brood is so cute all in there red raincoats. I especially love the museum. So important to expose kids to that type of stuff. How adorable! You all look so cute with the kids. And you definitely had so much fun in York. Honestly, you’d find me at Betty’s tea room or at the coffee shops because I just love drinking tea and coffee. York is a great city but I’ve only ever visited it once pre-kids so it’s good to know it has plenty to offer families. 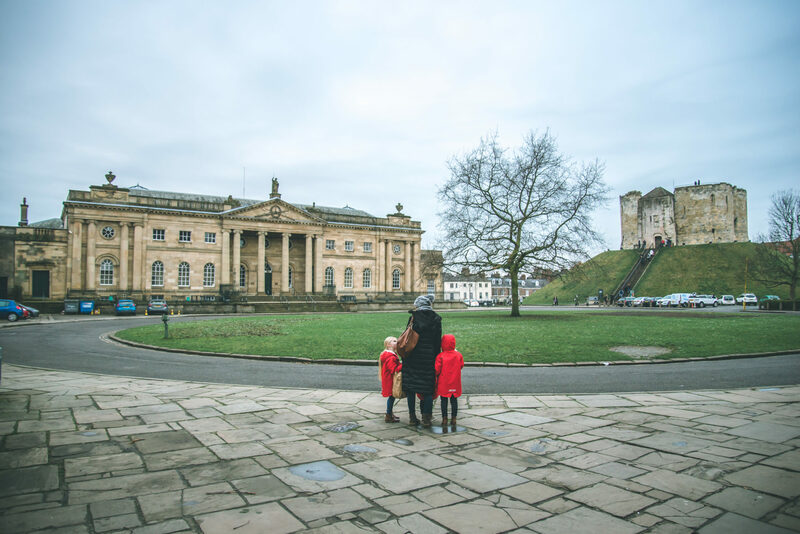 The Yorkshire Museum and Castle Museum’s sound right up our street too. 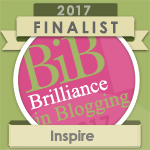 I do love your blog and your travels with your kids. I love their photos, too. Beautiful family. I would like to take my son in adventures someday. York looks like an amazing place to visit. 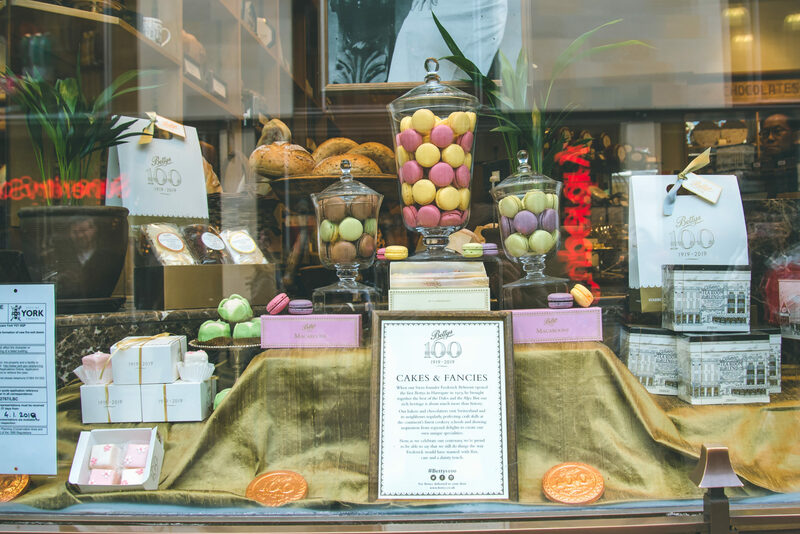 There are lots of things to do, and lots of different nooks and crannies to explore. The museum gardens are definitely something I would be interested in checking out. All of the photos are completely charming. I love their little read coats too. I think that this post really makes me want to visit York in the future. I’ve never considered York as a family destination, but your great pics and advice have inspired me. 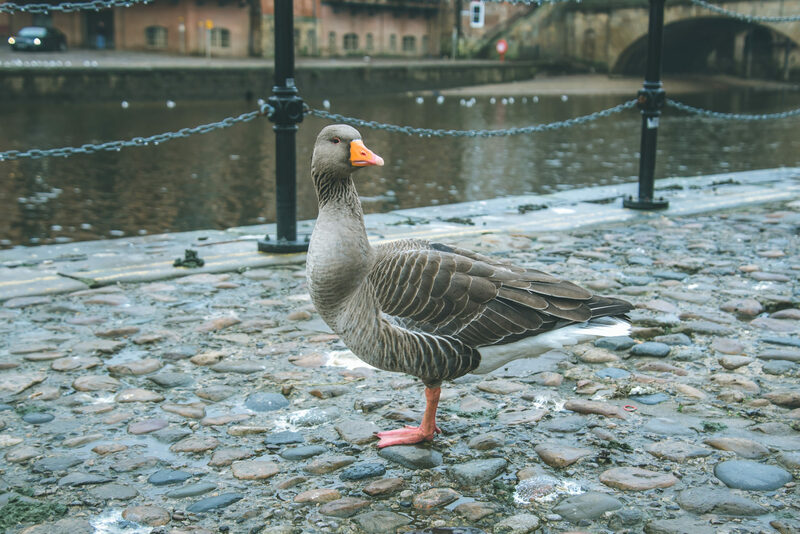 York sounds like a fanastic place to explore many things! Did you try Yorkshire pudding? I love York. We went on the York Cruise Boat which was nice too. Great article. Beautiful photos. Thanks for sharing such a valuable article. Seems so beautiful place to visit. You explained very well and I see there are so many places to explore. 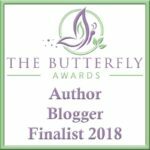 I really appreciate your time for writing this article and sharing your experience. Informative and well explained. Great tips. I will definitely be going to implement these tips. I have bookmarked it for future references. Thanks for sharing such a valuable and helpful article.